We are engaged in manufacturing and exporting a striking range of Bed Spreads and Covers that is widely appreciated by our clients. Our skilled artisans ensure that the colors and patterns inculcated in the collection are soothing that can add beauty to the interior. These are made from quality fabrics and are durable and easy to maintain. Our clients can avail from us a wide range of sophisticated and elegant Silk Velvet Bed Spread that add a touch of beauty and grace to the interiors. These are made from a variety of silk and velvet fabrics and are an amalgamation of modern and ethnic patterns. 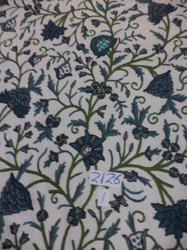 Further, we can customize these as per colors, designs and patterns to suit their requirements. we offer you exclusive range of bed covers,bed spreads in silk,Cotton,Poly-silk,velvet,banarasi Tanchai silk with and without embroidered centre win 5pc set. 18x28 inch pillow covers 2 pcs. 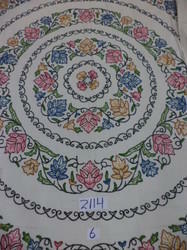 We are offering a wide collection of Embroidered Bed Covers made of quality yarns and fabrics. Our range is made to be spread on single as well as double beds and showcase elegant designs and patterns. We offer these at affordable prices and can also customize these as per our customers' requirements & specifications. 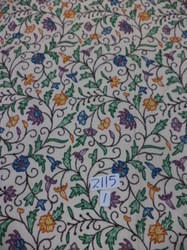 Dimension (Length x Width) 108"x90"
Avail from us a wide range of Designer Bed Spread that is offered in beautiful designs. These are widely appreciated by our esteemed clients for enhancing the look of any decor. Quality texture of our product can bring class and sophistication to the bedroom. These are offered in different colors, patterns and sizes at industry leading prices. 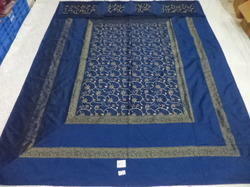 we offer you hand-embroidered crewel bed cover and bed spreads from Kashmir whoch are made on 100% cotton and made by best artisans of Kashmir. Always available in stock in exclusive designs and colors. We are engaged in offering a wide range of Kashmiri hand embroidered Bed Cover that is available in a plethora of colors and patterns. 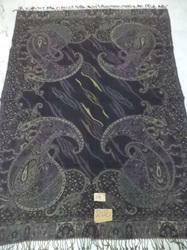 These are offered in exquisite and attractive designs and colours. We also have options for single bed sheets and double bed sheets as required by our clients. Further, these are also available in varied color combination ranging from pastels to subtle shades. We are engaged in offering an exclusive range of Bed Spread with Pillow Covers that is designed using quality fabric. Crafted with extremely delicate designs and superb artistry with vibrant colors these are used to enhance the home décor. These are available in variety of colors, designs, patterns and sizes that meet the varied requirements of our valued clients. 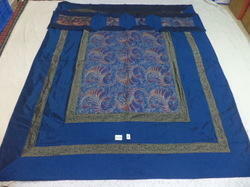 We offer you 100% pure silk jacaurd bed covers in assorted colours and designs. We offer you 100% pure woolen jamawar boiled blankets,throws,bed covers in exclusive designs and colours. 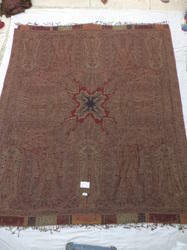 We offer you wool and cotton blended jamawar antique throws in intricate exclusive designs and colours. We offer you all kind of silk bed covers in exclusive embroidery and designs in modern and traditional designs and colours in 5 pc set. 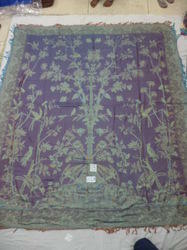 We offer you huge collection of pure woolen jamawar antique double bed covers in assorted colours and designs.